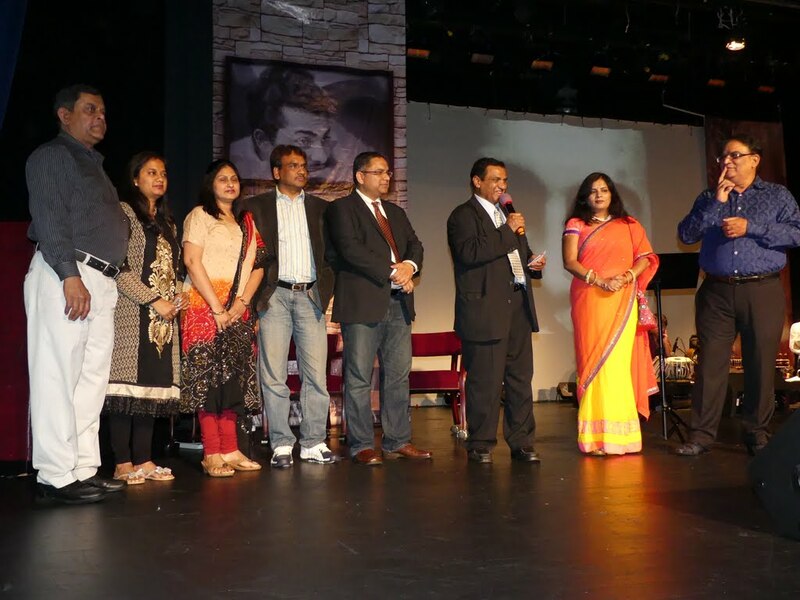 Atlanta, GA: The National Promoter, Madan Kulkarni of Chicago based Dhrishti Arts & Niche Entertainment, presented a spectacular musical narrative Betaab Dil, which explores the life and music of the legendary genius Madan Mohan. The local organizers were Mustafa Ajmeri, Dr. Prakash Desai and Sunita Joshi. Fazleen Sohani of Zoom Atlanta Radio Show was the media partner. The sold-out show was presented at the Berkmar High School auditorium on Sunday November 1, 2015. Betaab Dil is directed by Milind Oak and narrated live by noted theater personality and anchor Salim Arif. It featured ‘Jai Ho’ fame singer Mahalakshmi Iyer. Her colleagues were playback singer Vibhavari Joshi and male lead singer Hrishikesh Ranade who is the winner of Idea Sa Re Ga MaPa.These talented singers were commendably supported by live orchestra-Vikram Bhat on the tabla, Abhijit Bhade on the rhythm machine, Prasad Gondkar on the sitar, Kedar Paranjape and Darshana Jog on the keyboards. While Salim narrated Madan Mohan’s illustrious life and career in lyrical and descriptive Hindi and Urdu, peppered with ghazals the singers took turns to render a medley of timeless songs with Madan Mohan’s vast repertoire of almost 700 songs with unforgettable melodies. They sang full songs either solo or in duets. 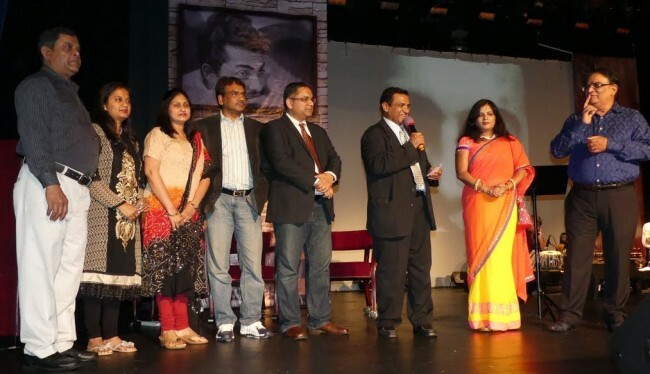 The giant screen showed rare film footage of tributes to Madan ji. The choicest songs included Madan ji’s musically composed songs sung by Lata, Mukesh, Mohammed Rafi, Talat Mahmood, Manna Dey, Kishore Kumar etc. After each song, the enthusiastic audience erupted into wild applause. Just before the interval,Atlanta’s Mustafa Ajmeri, Dr. Prakash Desai and Sunita Joshi came on stage. Fazleen Sohani (Zoom Atlanta Radio Show) thanked Mustafai and his team for bringing the show toAtlanta. Dr.Prakash Desai said many years ago Mustafa had dreamed of paying a befitting tribute to Madan ji and both felt happy that their dream was fulfilled. Aslam Pervez lauded the show. I feel as if Madan ji is in our midst today. Madan ji and his songs will be etched in our minds and hearts forever. Sanjeev in his stirring remarks shared that in the early 70s, Madan ji had difficulty in finding assignments as technology was changing and studios were not available. He felt that he was irrelevant, not successful and that his music was unappreciated. This was despite winning the National Film Award for Dastak in 1971.There were several reasons for this. The barometer of success was that you got to have big banner films, big stars like Raj Kapoor, Dev Anand, Dilip Kumar; noted directors; number one song in Binaca Geet Mala, songs playing on loudspeakers, films with Golden Jubilees etc. Madan ji didn’t have much to show in all this so he felt depressed and took to drinking and sadly passed away at the age of 51. But ironically, after his death, wonderful things happened.” As the audience listened raptly, Sanjeev continued, “What did he know: Mausam (1975) had a silver jubilee; Laila Majnu (1976) had a Golden Jubilee, and one of its song ‘Koi pathar se na mare’ was on number one spot on Binaca Geet Mala for 19 weeks. And what did he know above all that forty years after his passing away,Atlanta’s music lovers would be paying glorious homage to him? If this is not success, then what is?” he asked. 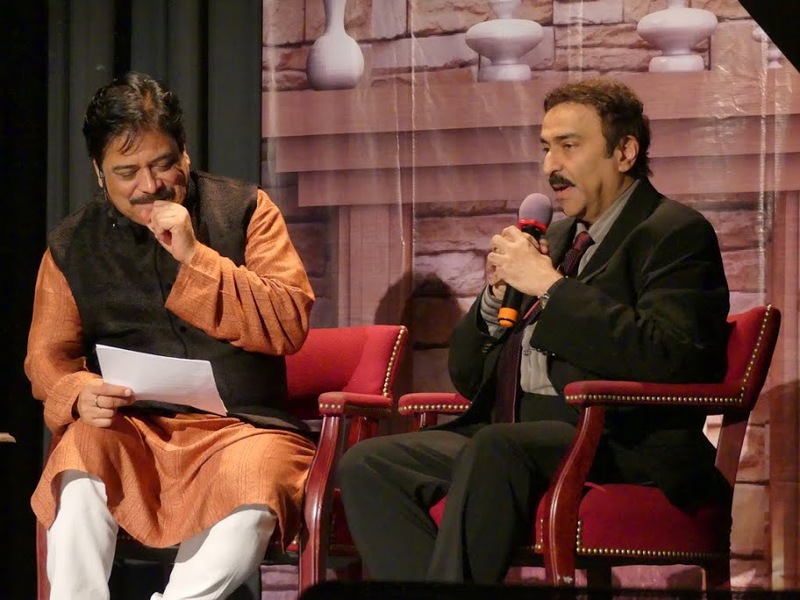 The audience listened raptly as he and his son Akshay shared how they worked together to fulfill a dream when they recreated and presented the unreleased music of Madan ji for the movie Veer Zaara, released in 2004 which won various awards and perpetuated his memory. The Billboard Magazine acknowledged this as an unprecedented feat. 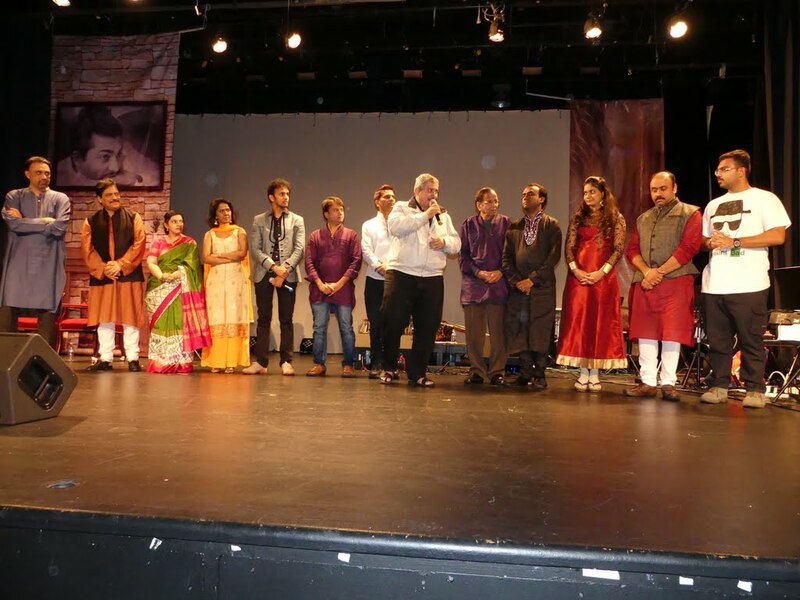 The organizers and the entire cast came on stage and took a bow to the standing ovation by the enthusiastic audience. Kudos to Mustafa Ajmeri for presenting this top notch show in Atlanta.